Lindblad Expeditions Holdings today reported financial results for the fourth quarter and year ended December 31, 2017. Sven-Olof Lindblad, President and Chief Executive Officer, said: "Lindblad's financial growth during 2017 highlights the opportunity we have to deliver substantial returns as we expand our capacity to take advantage of the growing demand for high quality, authentic experiential travel. The July launch of our first new-build vessel, the National Geographic Quest, contributed considerably to the Company's significant revenue and Adjusted EBITDA growth in the back half of the year and we are poised to build on that momentum in the years ahead. Bookings for 2018 travel are 24% above the same point a year ago for 2017 and we are seeing broad based demand for both returning and new itineraries. The upcoming year will also see the next step in our fleet expansion with the anticipated launch of the National Geographic Venture in December and we just began cutting the steel last month for our state-of-the-art, polar ice class vessel, which is expected to be delivered in early 2020. Overall we have contracted to expand our available guest nights by over 50% from pre-expansion levels so we can further capitalize on the rapidly growing demand for authentic expedition travel." Full year tour revenues of $266.5 million increased $24.2 million, or 10%, as compared to 2016, primarily due to a $15.2 million increase at Natural Habitat, which was acquired in May of 2016, and a $9.0 million increase at the Lindblad segment, despite the estimated $12.4 million impact from voyage cancellations in 2017. These cancellations included four expeditions on the National Geographic Orion to repair the engine, two voyages on the National Geographic Sea Lion to repair the air conditioning system and four voyages due to the delayed launch of the National Geographic Quest. Excluding the impact of these voyage cancellations in 2017, the Company estimates that total Company tour revenue would have increased 15% over the prior year to $278.9 million. Lindblad segment revenues of $216.8 million increased $9.0 million, or 4%, compared to 2016, primarily from a $7.3 million increase in ticket revenue, due mostly to increased Available Guest Nights and slightly higher Net Yield, and a $1.7 million increase in other revenue mainly from $2.3 million of insurance revenue related to the National Geographic Orion voyage cancellations. Excluding the impact of the voyage cancellations in 2017, the Company estimates that Lindblad segment revenue would have increased 10% over the prior year to $229.2 million. For the full year, Available Guest Nights increased 3% primarily due to the launch of the National Geographic Quest in July 2017 and a full year of charter expeditions to Cuba, partially offset by the voyage cancellations on the National Geographic Orion and National Geographic Sea Lion. Net Yield increased 1% to $985 from increased pricing and changes in itineraries. Occupancy decreased to 87% due to lower bookings for 2017 travel throughout the first half of 2016 and due to the cancellation of the highly booked voyages. Natural Habitat revenues of $49.7 million increased $15.2 million, or 44%, compared to a year ago due primarily to a full year of operating results in 2017 and higher ticket revenue from additional guests. Net loss available to common stockholders of $8.7 million for 2017, $0.19 per diluted share, decreased $13.5 million as compared with net income available to common stockholders of $4.9 million, $0.10 per diluted share, in 2016. The decline versus a year ago reflects the increased operating results, which were more than offset primarily by a $12.7 million non-cash impact from the enactment of the U.S. Tax Cuts and Jobs Act and $5.2 million of additional stock-based compensation expense due primarily to grants under the 2016 CEO share allocation plan, which provides our CEO the ability to transfer shares from his existing holdings in the Company to eligible employees. Full year 2017 Adjusted EBITDA of $43.5 million increased $1.8 million, or 4%, compared to 2016, due to $1.8 million of additional contributions from Natural Habitat and a slight increase at the Lindblad segment despite the impact of the voyage cancellations in the current year. Excluding the impact of the voyage cancellations in 2017, the Company estimates that total Company Adjusted EBITDA would have increased 26% over the prior year to $52.5 million. Adjusted EBITDA at the Lindblad segment of $38.7 million increased slightly versus 2016 as the increased tour revenues and a decline in drydock, employee and fuel costs were mostly offset by operating costs for the National Geographic Quest as well as higher charter costs, primarily related to Cuba. Excluding the impact of the voyage cancellations, the Company estimates that Lindblad segment Adjusted EBITDA would have increased 24% over the prior year to $47.7 million. Natural Habitat Adjusted EBITDA of $4.8 million increased $1.8 million, or 59%, compared to a year ago due primarily to a full year of operating results in 2017. The current year also included higher revenues from additional guests which was partially offset by increased cost of tours from the additional guests as well as higher personnel costs. Fourth quarter tour revenues of $63.2 million increased $7.1 million, or 13%, as compared to the same period in 2016. The increase was driven by $7.0 million of additional contributions from the Lindblad segment and a $0.1 million increase at Natural Habitat. Lindblad segment tour revenues of $48.9 million increased 17% compared to the fourth quarter a year ago mainly due to a $6.4 million increase in ticket revenue, primarily from a 10% increase in Available Guest Nights mostly related to the launch of the National Geographic Quest in July of 2017 and the addition of a trans-Atlantic voyage on the National Geographic Orion. The growth in ticket revenue also reflects a 6% increase in Net Yield to $924 due to increased pricing and changes in itineraries. 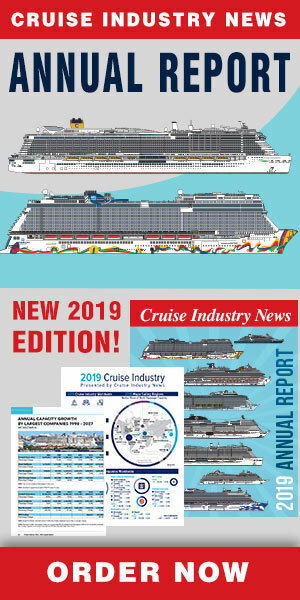 Occupancy of 86% was in-line with a year ago despite the inclusion of the trans-Atlantic voyage on the National Geographic Orion, which had a lower occupancy than traditional expeditions as anticipated. Net loss available to common stockholders for the fourth quarter was $16.0 million, $0.36 per diluted share, as compared with a net loss available to common stockholders of $8.7 million, $0.19 per diluted share, in the fourth quarter of 2016. The decline versus a year ago reflects the increased operating results, which were more than offset by a $12.7 million non-cash impact from the enactment of the U.S. Tax Cuts and Jobs Act and $1.4 million of higher depreciation and amortization primarily related to the addition of the National Geographic Quest to the fleet in July 2017. The fourth quarter of 2016 also included $1.2 million of other expense primarily related to the retirement of the National Geographic Endeavour. Fourth quarter Adjusted EBITDA of $4.8 million increased $3.3 million, or 221%, as compared to the same period in 2016 primarily due to additional contributions from the Lindblad segment partially offset by $0.1 million decrease at Natural Habitat. Lindblad segment Adjusted EBITDA of $1.9 million increased $3.4 million compared to the fourth quarter a year ago as the increased Tour Revenues and lower personnel costs were partially offset by higher operating costs related to the addition of the National Geographic Quest and higher commission expense related to the revenue growth. Natural Habitat Adjusted EBITDA of $2.9 million decreased slightly versus the fourth quarter a year ago as the revenue growth was more than offset by increased personnel and marketing costs to drive long-term growth initiatives.